PhD student and King’s EOES member Alejandro Coca-Castro attended Europe’s premier geosciences event, The European Geoscience Union (EGU) General Assembly, which was held in Vienna, Austria (April 8th – 13th, 2018). 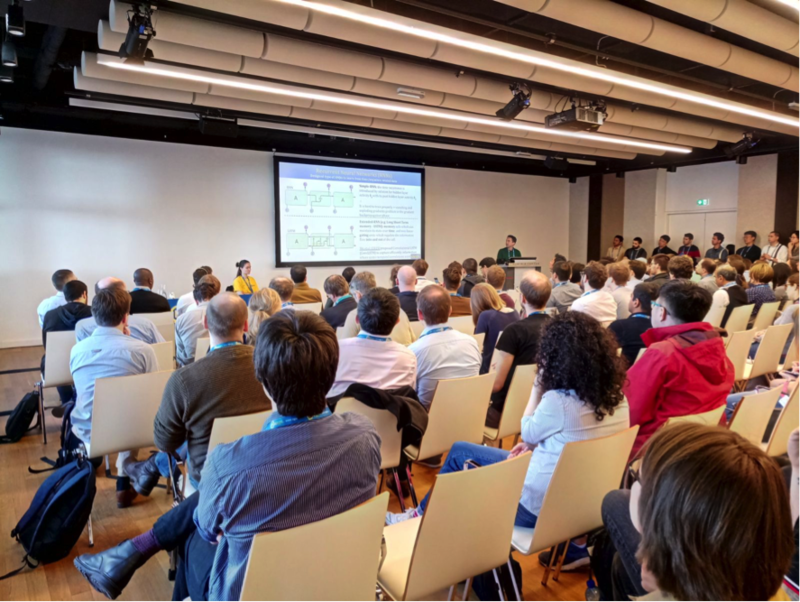 Alejandro contributed to the EGU’s session: “Information extraction from satellite Earth observations using data-driven methods” with a 12-min presentation of the main progress of the 2nd year of his PhD research at King’s. This blog post summarises the key context of the session as well as describing the main facts of Alejandro’s work related to the application of a novel data-driven algorithm based on deep learning principles for land cover classification. Fig 1. Alejandro introducing of the underlying concepts behind the applied data-driven method for large-scale land cover classification. Photo by Alöis Tilloy.